Alexa Nowak, a sophomore marketing major, was found dead in her room by her friends on Feb. 12. No signs of foul play were found. Dean of Students Stephanie Krebs sent a global email with the title of “Sad News” announcing Nowak’s death. We offer our deepest condolences to Alexa’s family, friends and loved ones while respecting their right to privacy. Kevin Howell, director of the Office of Campus Safety, said that the Tampa Police Department described the incident as an “apparent suicide.” However, he said that it was for the Medical Examiner will make final determination. 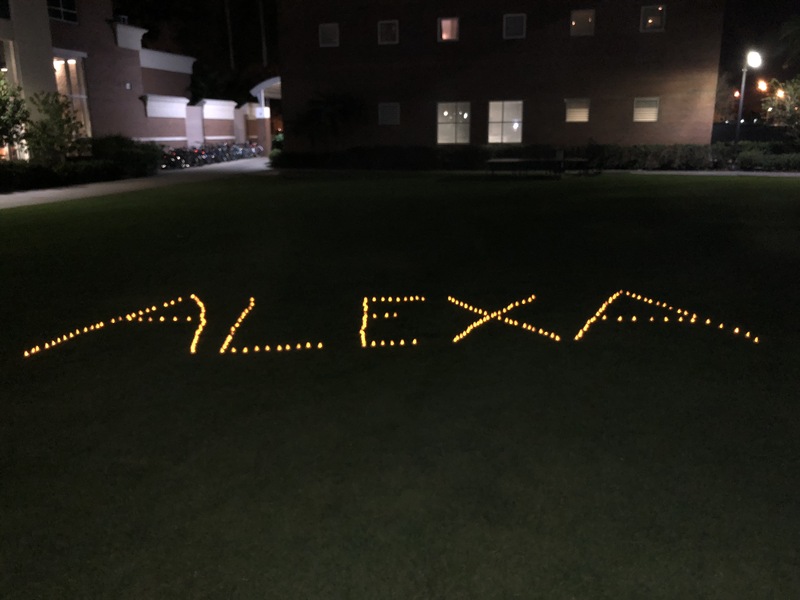 A small tribute was held for Nowak on Monday night in the Vaughn Courtyard where friends and fellow students were able to pay their respects to her. No further information has been disclosed about the incident. Stay with The Minaret for updates.